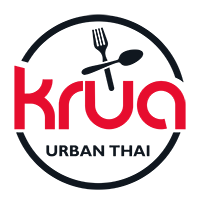 Krua Urban Thai has moved into the old Barley Swine location at 2024 South Lamar. 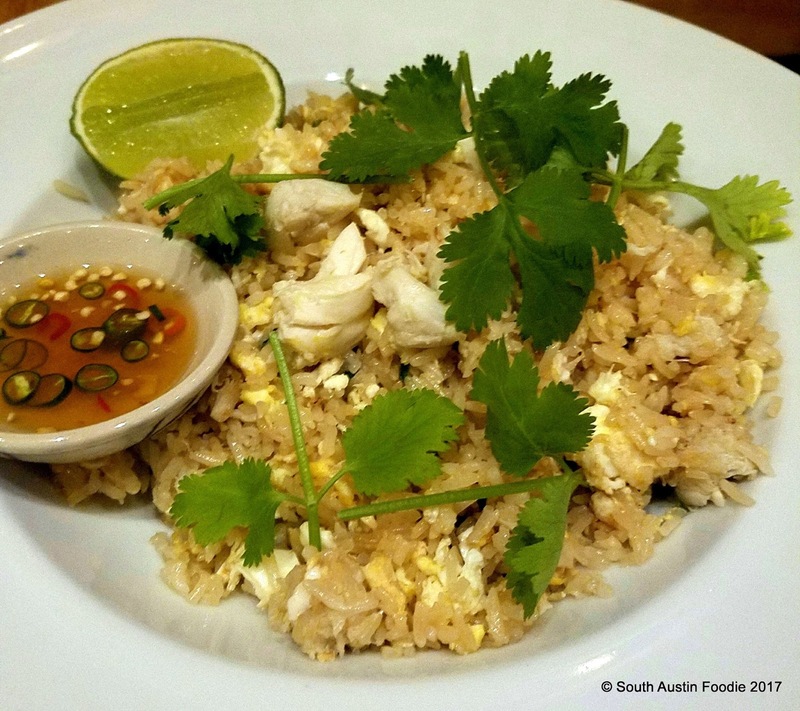 I had heard about their yummy crab fried rice from two different people, so it was time to go check it out for myself. My neighbor and I visited on the Friday before Thanksgiving, arriving a bit after 6 pm. We had no problem getting a table, but by the time we left the place was full and there were people waiting outside. 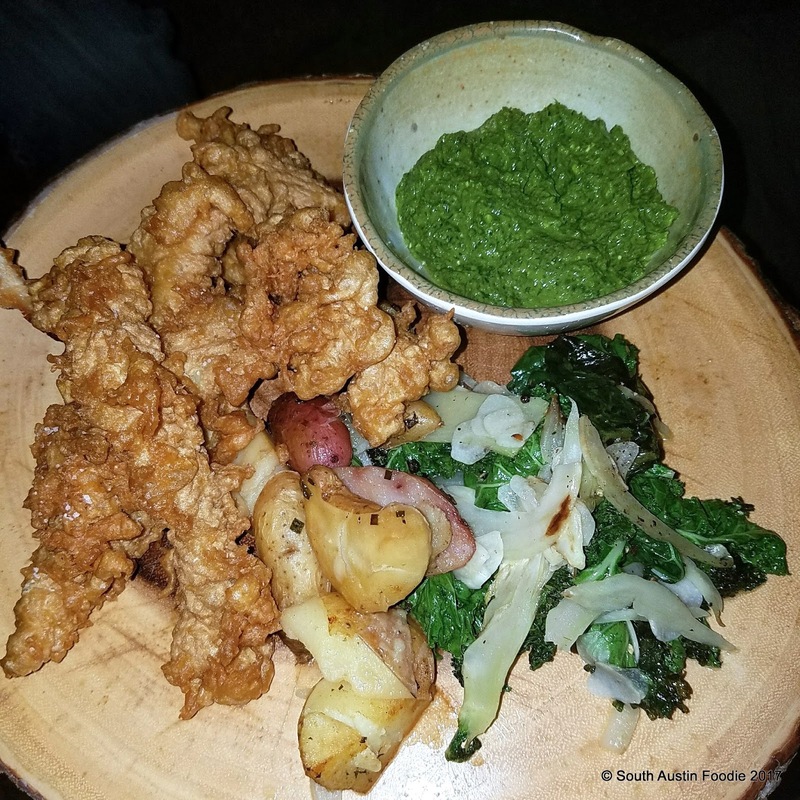 We decided on a variety of dishes to share, and told the server to send them out in whatever order they were ready. Krua's Brussels sprouts were tossed in a bit of fish sauce and a basil vinaigrette. Nice and crispy with excellent flavor. and the saucer with chili fish sauce did in fact help. 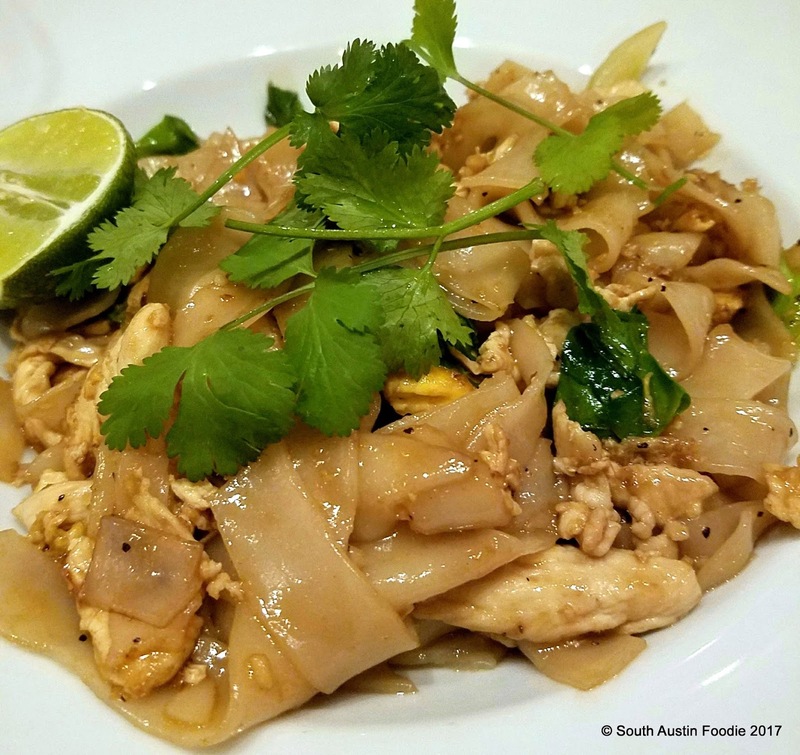 Pad see ewe (or pad se ew) is one of my favorite Thai noodle dishes, as I love the wider rice noodles. This was quite good, though I think my favorite in town is still at Thai Taste in Oak Hill for the fact that theirs contains a touch more sauce. 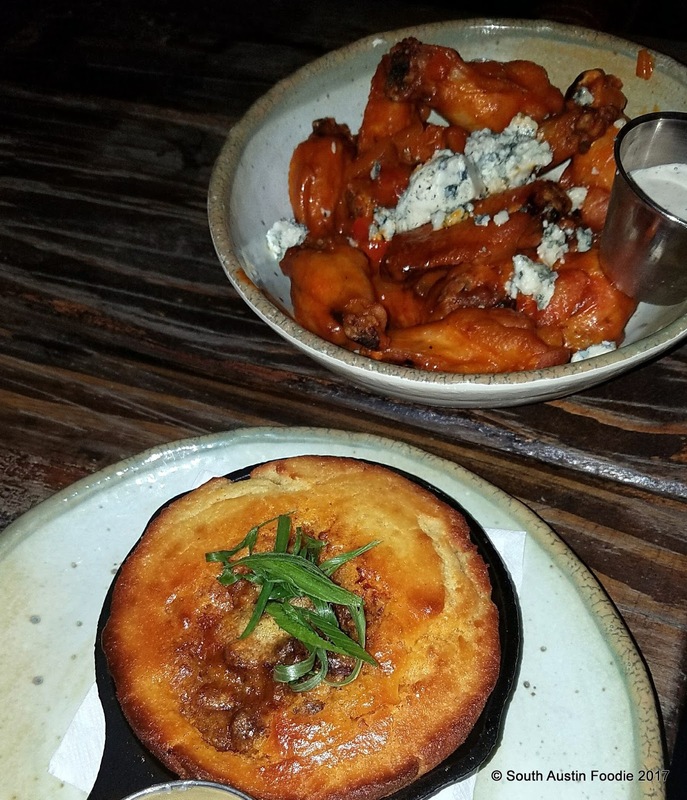 Overall, no complaints about the quality of the food. What did bother us though is the timing. 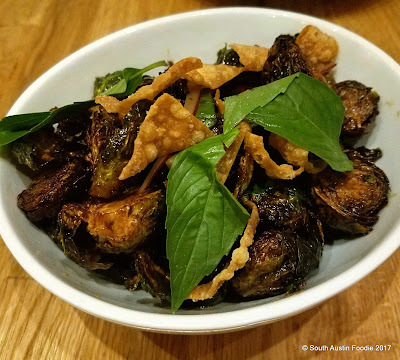 The Brussels, which are an appetizer item, did come out first and relatively fast. And then we sat there for about 15 minutes until another dish came out. Then the other two dishes came fairly quickly after that. 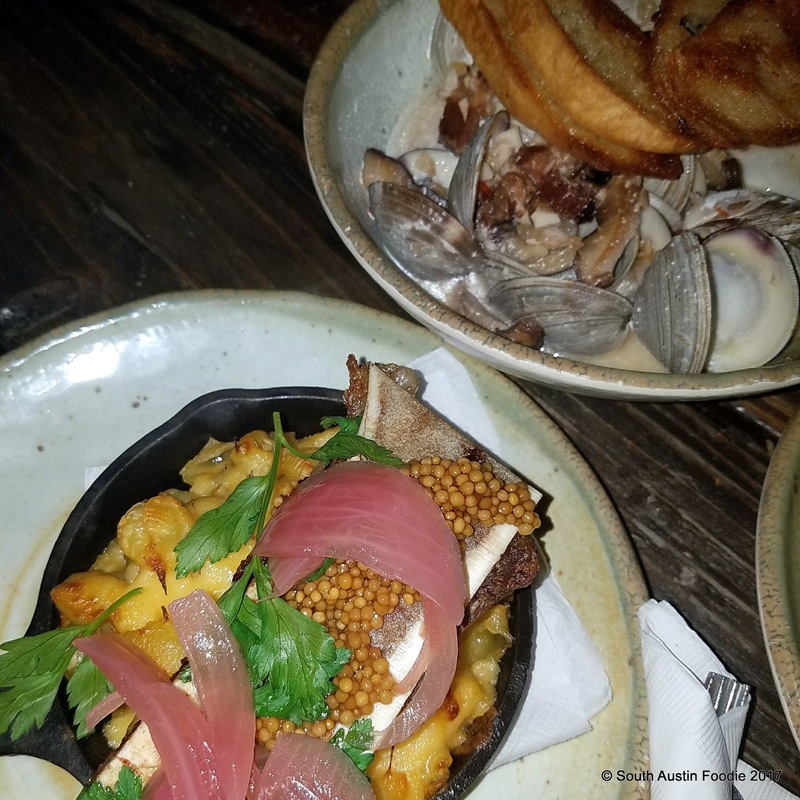 At a small two-top table, it is virtually impossible to have three large plates on the table. The tables are also fairly close together, which gave us the opportunity to admire the pad thai to one side of us (and to learn it was the father and young son's second or third time there, which for a place barely open a month says something), and the diners on the other side of us inquired about our food. 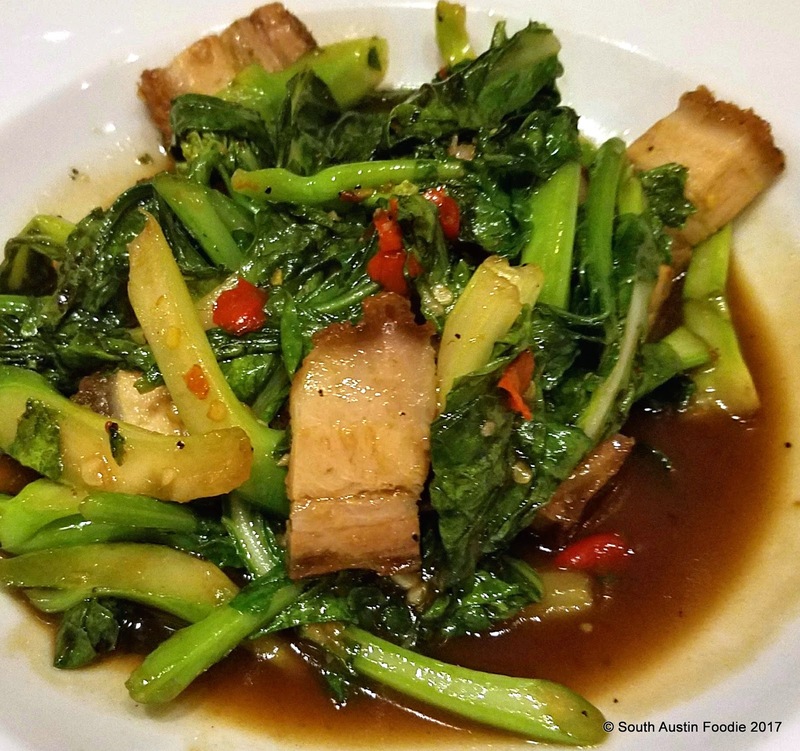 Pros: food was for the most part, delicious; more Thai variety in South Austin is great; online ordering coming soon. I took my leftovers to work the next day and my Thai friend Bee tried the fried rice and pork belly dishes. While she said it was not the same type of crab they use in Thailand, she did give her blessing to both dishes, and she and I are making plans to come back to Krua. Service was friendly though perhaps not highly experienced, though I guess we could have specified "keep the dishes coming in whatever order" rather than "whatever order they come out is fine." Cons: the timing of the dishes, noise level (there's nothing to buffer the interior rock walls), decor was lacking (I can't really understand why there are two New Mexico chile ristras hanging over the counter), they were out of one of the wines we ordered. Verdict: thumbs up! Will certainly be back! 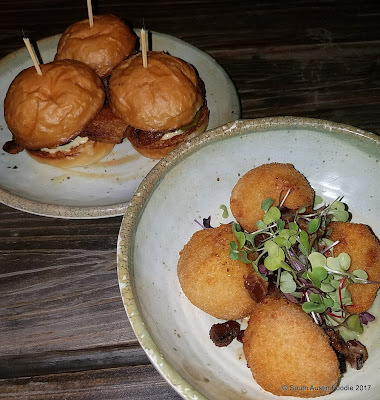 Confit pork jowl sliders that were only $3 each, and pimento cheese croquettes. The pork on these was amazing, crispy and not a drop of grease, and the croquettes were nice and gooey inside. 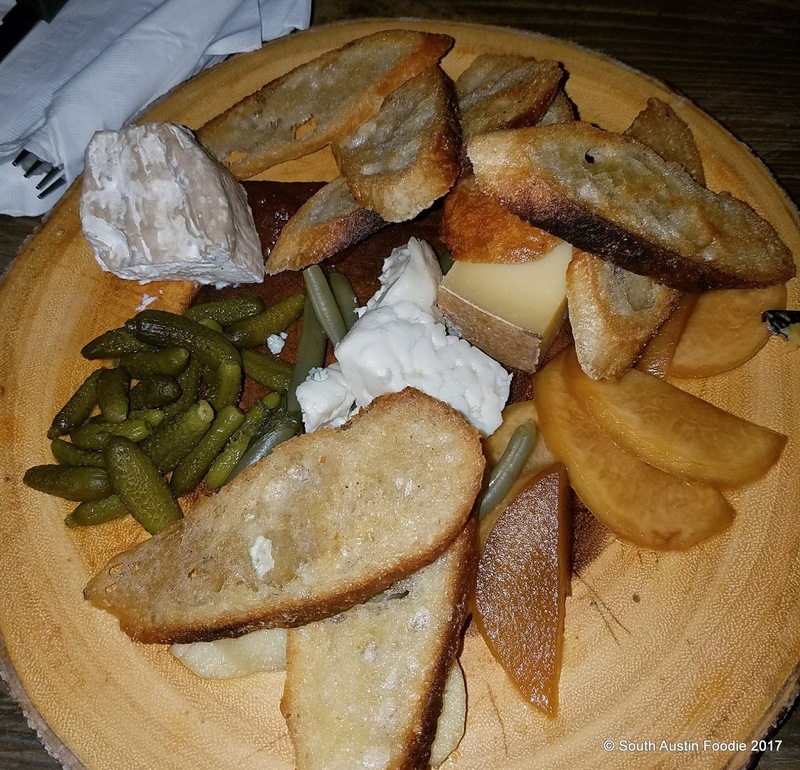 Cheese board with selections from Antonelli's Cheese. Chili-stuffed cornbread in its own mini skillet and buffalo wings with blue cheese, both super tasty. 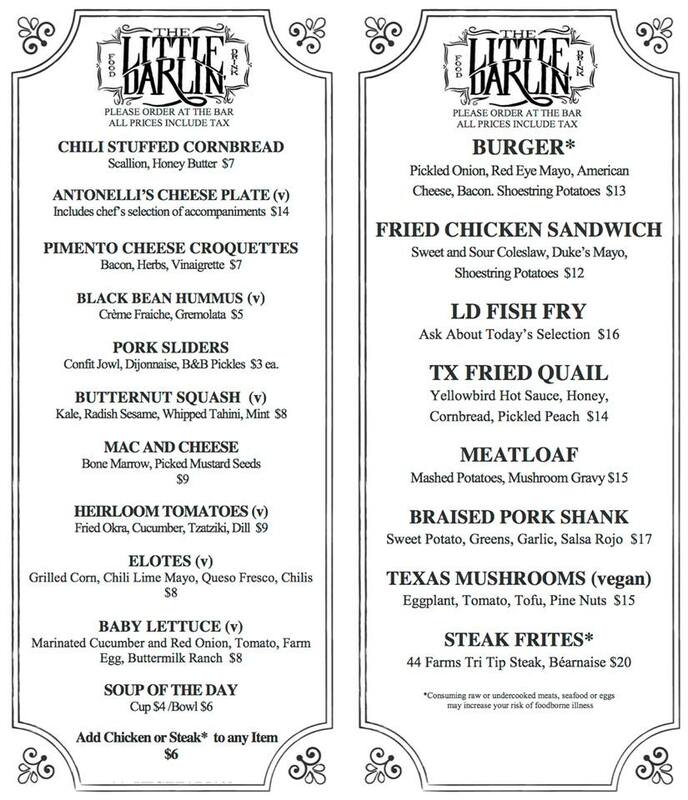 a little neck clam special, in a killer cream sauce with sherry, bacon, and mushrooms. Fried fish (I think someone said it was redfish) with an amazing pesto that was almost pure basil. I wouldn't think to put fried fish and pesto together, but it really worked. I felt the fish could have been fried a little longer (or at a hotter temperature) to make it crispier, but it was still tasty. But that pesto was the star! 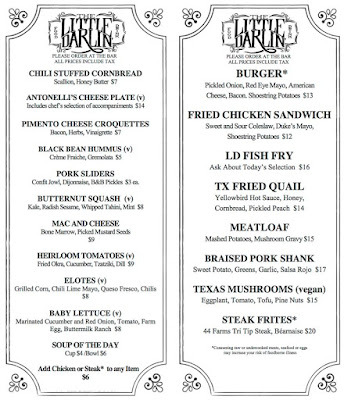 Seasonal menu from their Facebook page. 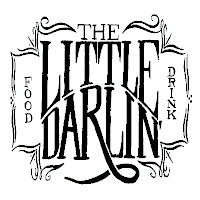 Little Darlin' has parking, is dog-friendly, and child-friendly until 9 pm. The bar is inside along with some pool tables, and a huge outdoor area along with a stage on one side. Super-chill, not pretentious, and delicious food. 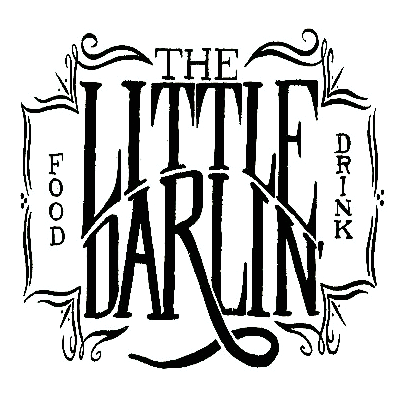 Stir it up, little darlin'!